Prostitution and drug abuse are increasing in Borno, a state where terrorist activities have raged on for the past 8 years, and students of colleges and tertiary institutions are engaging more in this, an investigation has showed. Borno State has been troubled in the last 8 years by Boko Haram terrorists and one would ordinarily think that this insurgency could have stifled some vices in the state, but that is not what the situation is. In recent times, it has become northeast's most prominent state because of the amount of attacks that had happened there and abduction of Chibok girls that triggered global protest. 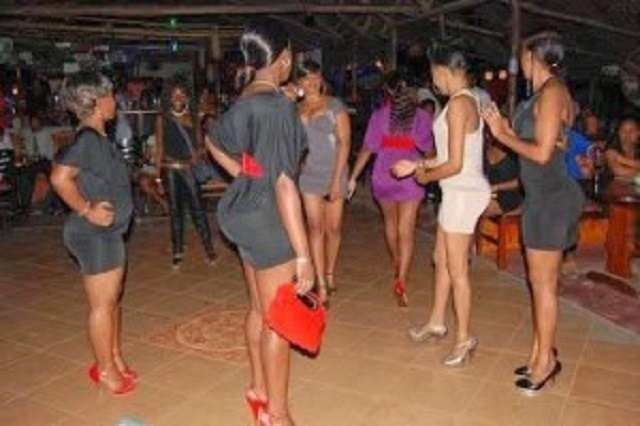 Now, it has been discovered that the number of girls in colleges and tertiary institutions in the state aged 25 and below who are making brisk money from illicit trade - prostitution - is on the increase. The Nigeria Security and Civil Defence Corps (NSCDC) command in Borno said this on Sunday. The security agency has uncovered a prostitution ring in various colleges and tertiary institutions in the state. The Corps Commandant, Mr Ibrahim Abdullahi, told the News Agency of Nigeria in Maiduguri that the student prostitutes were girls aged between 25 and below. He added that "the girls have their facilitators and a chief pimp outside the schools who usually communicate on how to arrange the girls. They usually charge between 10,000 Naira and above for a night. "The girls don’t usually go out looking for men, as they are being patronised mostly by visitors who come into town for weekend or for a programme". Another thing the security agency has discovered is that abuse of illicit substances is also on the increase. "Our investigation also revealed that the teenage girls are also into various forms of nefarious activities like smoking of cannabis sativa and abuse of Codeine cough syrup. "We, therefore, want to appeal to parents in particular to monitor the activities of their children in schools and know the type of company they keep at all times," Mr Abdullahi said. "Bad friends in school are some of the genesis of this form of anti-social behaviour".